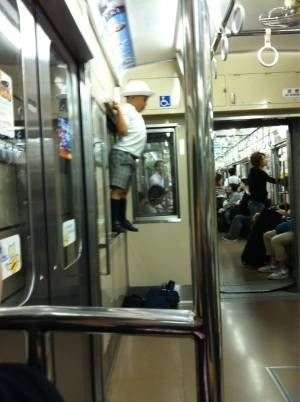 One company, Nakano Seiyaku, from Kyoto has taken the balance ball and the health of their employees one step further. Initially tested by the president and the secretaries, they found that using the balance ball instead of a traditional chair improved concentration, improved their posture, and improved their waistline. 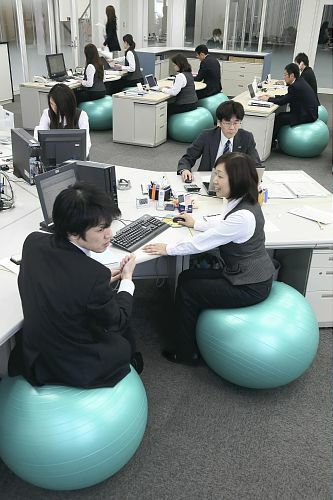 While no scientific study has been performed to confirm this, they went ahead and bought 400 balls at 2000 yen a piece and even used them for guests in their conference room!